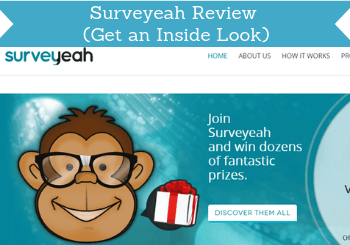 Surveyeah is a paid survey site, and the name implies that it is a survey site that will make you say yeah because it is a great site with great opportunities. But is Surveyeah legit and really a great option or a scam? As with other survey sites, I make reviews of, I have tested the site thoroughly myself. In this Surveyeah review, I will go into all the details so you can see, if it is a legit site with great opportunities that can live up to its name, or if it is a big waste of time and a big no. What is Surveyeah and what does the site offer? Surveyeah started in 2014 and is run from Milan in Italy. This is also the reason that you will sometime see posts in Italian on their Facebook page. But it also sometimes posts in other languages and once you are a member it offers surveys in many countries and languages. It is a very simple site that does not have a lot of different options to earn. Simple can be nice, as it often also means that it is easy to navigate and easy to use, and that is also the case with Surveyeah. But let’s take a closer look at what Surveyeah then offers and how good the opportunities it has are, as this, of course, is very important to find out if it will be worth your time or not. 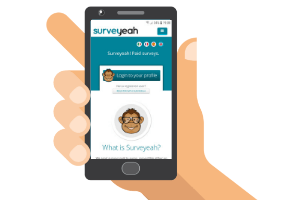 Surveyeah is a simple survey site, where the only way to earn is by taking surveys. 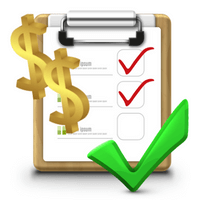 Many survey sites also offer other ways of earning, but it is not necessarily a bad thing that a site only has surveys. It can make it more focused and easier to use. Surveyeah is definitely easy to use. You cannot really get confused about how to take surveys on the site. Once you have signed up, you will receive an email every time there is an available survey. It will however not be a huge amount of surveys you will get. Probably 2-8 surveys per month depending on where you live. So paid surveys are the only way to make money on Surveyeah. There are however also a few other aspects that might be useful for you, and a few things that are worth knowing about the page before you decide whether to join or not. On the website, Surveyeah has a news section, where there are sometimes posted quick polls. It can seem a bit strange that it is called a news section, as there is not posted any news but only these quick polls. An example of a quick poll on Surveyeah. The quick polls will only take you a few seconds to do. It is not something you will get a reward for, and you do not have to log in to participate. So it is purely if you think they are fun to do and are curious about seeing what other people are answering. You will be able to see the statistics with the answers right away, and you do actually not even have to answer yourself to see the results. There are not very often new polls, and as mentioned, you will not get any reward to participate. So not something I personally spend too much time on, but it can be fun to check out once in a while when you are on the website anyway. Surveyeah has several social media channels, where you can follow them and get news. These are not used very often, and there are not a lot of posts there. Personally, I find the social media channels a bit confusing, because they use different languages as I already mentioned earlier. Most posts seem to be in Italian (guessing it is because the owners are Italian), which can seem a bit strange for a site that is available in so many countries. Some posts are however also in English. 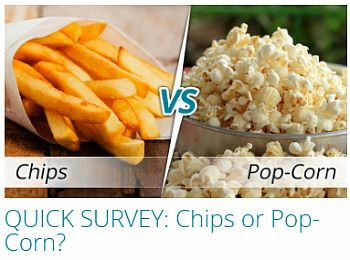 I prefer only following survey sites on social media when they are posting useful info and news about contests or free promo codes like for example PrizeRebel and SwagBucks. So overall Surveyeah’s social media channels are not very useful, in my opinion. I would just suggest you to stick to getting emails from them with survey invitations as these have all the info you need when you are a member. 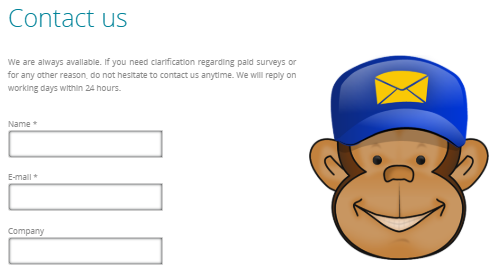 If you have taken paid surveys before, you might have seen the name Cint. And you will very likely have taken a survey from Cint even if you have not seen the name. Cint is a huge insights exchange platform. That means that it is a platform that provides surveys to many survey sites, and companies can go to Cint to have their surveys spread to different platforms. In my experience, often the sites that are mainly using surveys from Cint (like Surveyeah) does not have very many surveys and often have a similar layout. The layout is very simple, and you have to fill out quite a lot of background information when joining without getting any bonus for it. That is also why that once you are logged in, you can more or less not tell the difference between the different survey sites that are built on Cint surveys. So if you log in to for example a site like Triaba and Surveyeah, they will look more or less the same. Nothing bad about that, but can be a bit confusing in the beginning, if you are not aware that is the reason several sites have so similar a look when you are logged in. The greatest thing about a survey site working with Cint is that it is a reliable company that is behind, and you know that you will get your reward without any problems. When you do a survey on Surveyeah, you will get paid in your local currency into your Surveyeah account. You will usually be able to see the reward shortly after having completed the survey. Before doing any survey, you will be able to see what the reward will be, and what the estimated length of the survey is. The estimated length is however not that useful, as it depends on a lot of different things, and on your answers, how long it will take. I have done surveys that are estimated to 20 minutes in 10 minutes but also done surveys estimated to be 10 minutes that took longer for me. So it is just an estimate. The payout options on Surveyeah. There are a few different ways you can choose to get your earnings paid out. You can get paid in cash through PayPal, get Amazon gift cards, download e-books, or donate to charity. You can request a payout when you have earned what is equivalent of $10. 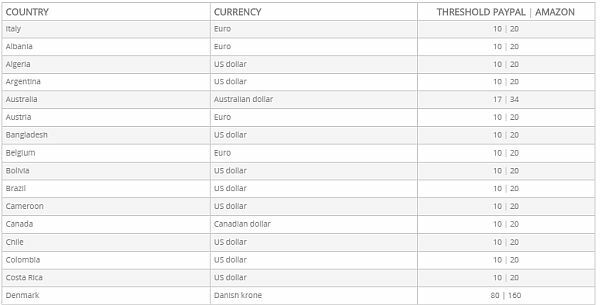 There is a nice table on the website that makes it easy to see what the amount would be in your local currency – see an example on the image below. A list of the payout threshold in local currencies for some of the countries where Surveyeah is available. This is not the full list, as there are too many countries listed to include them all here, but just to give you an idea. If you want to see the full list, it is available on Surveyeah’s website under the reward section. How much money can you make on Surveyeah? 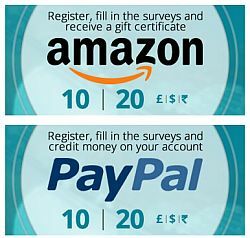 On Surveyeah you will not get a huge amount of surveys offered. You get an average 2-8 per month depending on your profile and your demographic info. So these will not lead to a huge amount of money. To get the most offers, it is a good idea to fill out the profile questions inside the platform after you log in. Most surveys last 5-15 minutes and the rewards in relation to the time spent are average compared to other survey sites. They range from around $0.30-$5 depending on the length. So Surveyeah is not the survey site that can make you the most money and does not give as many opportunities as the top survey sites. But it is very easy to use and can give a bit of extra cash on the side once in a while. It is in general important to remember that no survey site will make you rich. If a survey site promises you that you can get rich, it is very likely a scam, and it is definitely a site to be careful about joining. Can you use Surveyeah on a mobile? You can use Surveyeah on your mobile phone. This is great because this means you can take surveys on the go and whenever it fits into your schedule. When you receive an email with a link to a survey, you just click the link, and you can take the survey. So there is no app you need to use. You will just be taken to the survey so to be able to use your mobile for this, you just need access to your email so you can click the invitation link. There are, however, some surveys that cannot be taken on a mobile. For some surveys, you, for example, need a bigger screen. If that is the case, you will be told when you try to take the survey. But in general, most surveys can be taken on your mobile phone. Also, if you want to log into your account from mobile to check how much money you have earned so far or to request a payout, the website is fully optimized. Surveyeah is available in many countries, and you can join the site from around 60 different countries. For example from most of Europe, the US, India, many Asian countries, several African countries and many more. I am, of course, not going to list all the 60 countries here, but just to give you an idea that if you are interested in joining, there is a good chance it is available in your country. You just have to be 15 years old to sign up, but if you are below 18 years old, you need your parents’ consent. If you should need any clarification about your account, Surveyeah does have a support function you can write through a contact form on the website. You can expect to get a reply from Surveyeah’s support within 24 hours. They say that they will get back to you within 24 hours on working days. I have been in contact with them a few times myself, and they do reply very quickly, in my experience. Also, from how they reply to people on Facebook and the time it takes them to answer questions here, it looks like they are doing it within the promised 24 hours in general. So you can also consider writing them on Facebook if you need help. Surveyeah is definitely a legit site, where you will get paid without problems, and like any other legit survey site, it is free to join and use. That does however not mean that it is worth joining. Surveyeah has some great aspects and you can make a little extra money on it. It does, however, not give very many opportunities as it has a limited amount of surveys. But because it is so easy to use, it can still be worth joining as an extra site. If you only want to join a few survey sites and your goal is to get as many earning opportunities as possible on those sites, you should join the top paying sites instead or join some of them in addition to Surveyeah to get enough earning opportunities. But overall, Surveyeah can be a decent extra site to join. It is very easy to join Surveyeah. Just click the button below and it will take you to the sign-up page. It will only take around 1 minute to join. And after that, you just wait for survey invitations to be able to earn. If you have any comments, questions, or have any experiences with Surveyeah yourself, I would love to hear from you in a comment below. Surveyeah is a very easy-to-use site, but it does not give a lot of opportunities. Because of the low number of available paid surveys, it is not a site you should join as the only survey site. But it is legit, offers good payout methods, and as an extra site, it can be worth checking out because it does not take much effort to join and then just wait for the survey invitations. Thanks for the feedback Delwar. Glad you like the info.